Based on premium-class Alcohol (Ethanol). 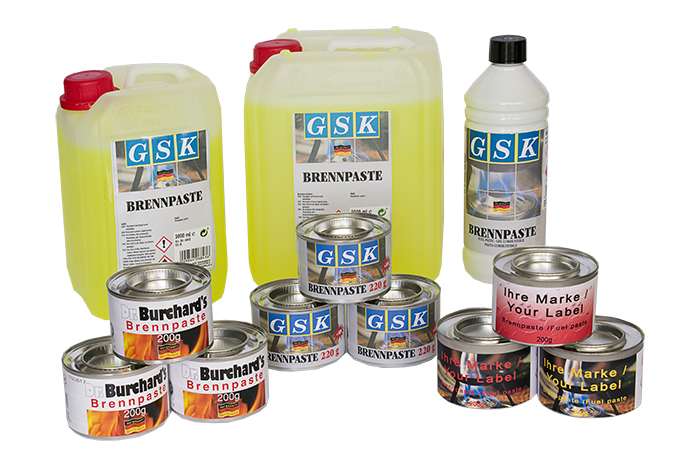 Fuel paste burns safely, soot-free and odourless. Reliable product - sold a million times. Its application is widely diverse: Be it the heating of fondue bowls, a wok or a hot stone. Fast delivery due to short dispatch routes and our own production line in Germany. We are looking forward to advise you in planning and producing your own private label.